Happy Halloween from Lamattina! 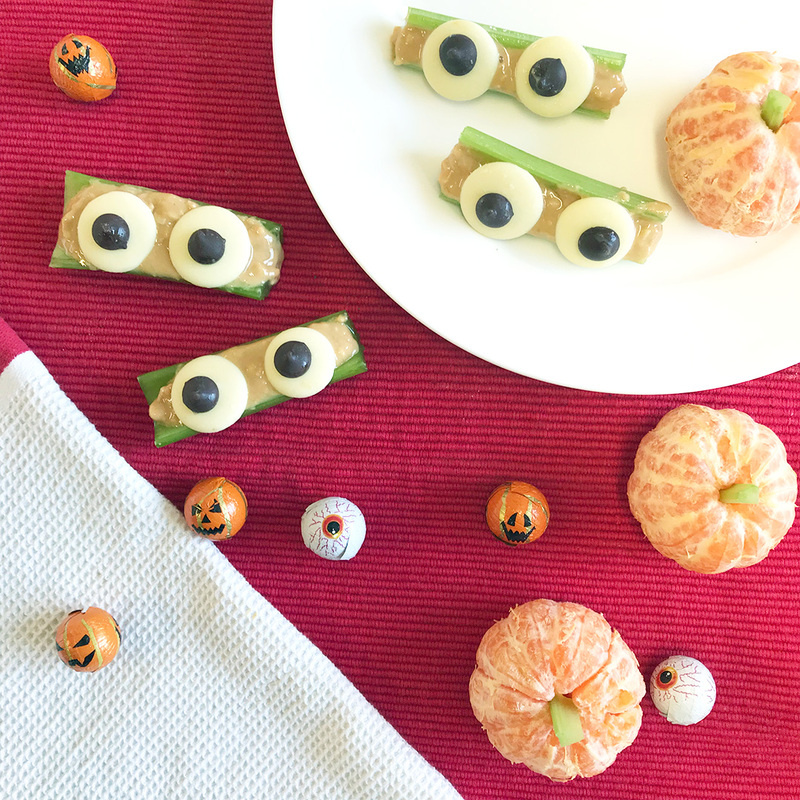 We know it’s the season for trick or treating, so here are some easy, spooky, healthy treat ideas for the kids. 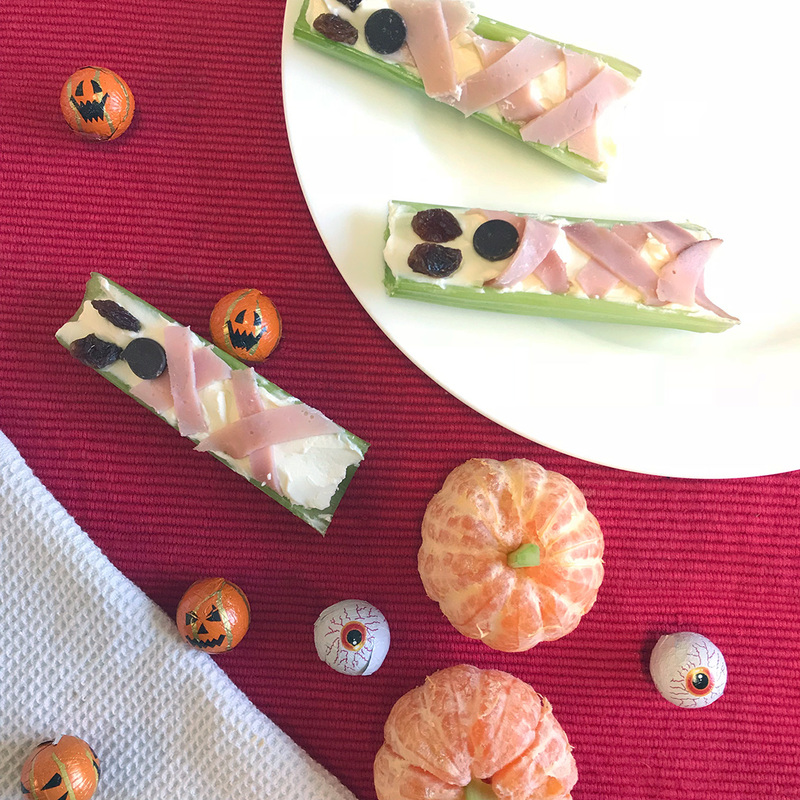 Mini Pumpkins: Pair up peeled clementines / mandarins / oranges with a sliver of fresh celery for a tiny little pumpkin that’d give your kids a sweet boost of vitamins to boot. Want to spice this up further? 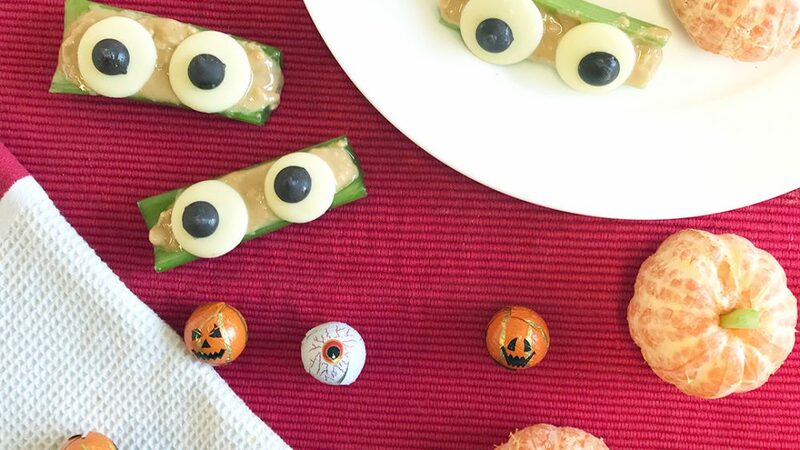 You can make little eyes out of black icing or chips of nori seaweed, glued on with peanut butter. Eyeball Logs: Fill up washed stalks of celery with peanut butter. The eyeballs above are made with white chocolate buttons and dark chocolate chips glued onto the white chocolate buttons with a little bit of peanut butter. For a healthier version, use a peanut butter brand that’s 100% organic peanuts, and you can make the eyes from thin discs of apple or pear plus chips of nori. Not into peanut butter, or want something more savoury? Try hummus (check out our parsnip hummus recipe for something different), or tomato salsa or beetroot dip for that extra spooky reddish colour, and you can use turnip discs and nori for eyes. Celery Mummies: This one takes a little more work, but it’s worth it, trust us. Stuff washed stalks of celery with cream cheese. Slice up some free range ham into little slices and “wrap” them in little X-es over the cream cheese. Either cut off the ends to fit or tuck them in with the edge of your knife. Use chocolate chips or eyes or raisins. Yum! 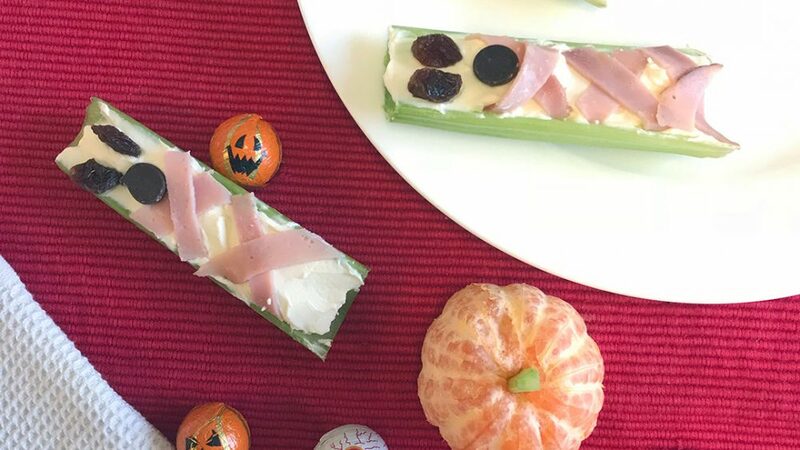 Have any healthy celery Halloween recipes of your own? Let us know.